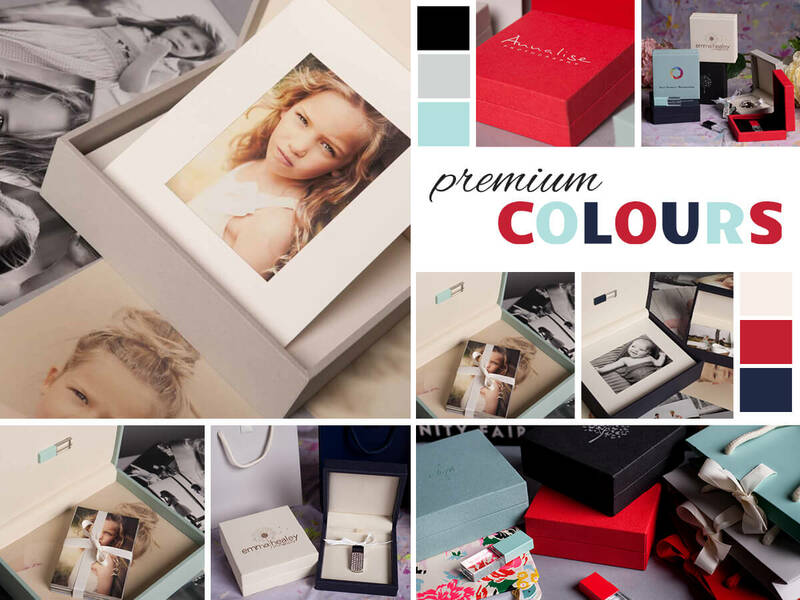 Our new Premium Colours collection is simply stunning. If you've been looking for a really beautiful high end product for presenting digital files and prints to your clients then look no further! The boxes are a substantial jewellery type box with a soft touch faux leather texture. It is available in no less than 6 colours: Black, Ivory, Grey, Duck Egg, Navy and Red. All products come with a matching gift bag. We have USB products, 6 x 4 Print and USB products and a USB Mount Box which includes 20 mounts to take 7 x 5 or 8 x 6 prints.